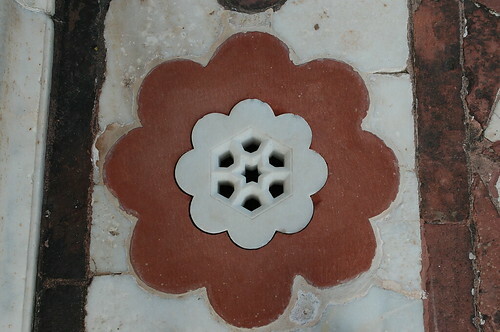 The four mouse-ketteers in Agra. We didn't see much of Fetehpur Sikri because we thought it wasn't worth the entrance fee to see the ancient city for 15 minutes before closing time. Tired and disappointed, we drove to Agra and checked into our hotel, had an early night in hope to catch sunrise at the Taj Mahal. 5:30 a.m: Alarm rings. Snooze. 6:00 a.m: Alarm rings. Snooze. 6:30 a.m: Alarm rings. Crap! We've missed sunrise! 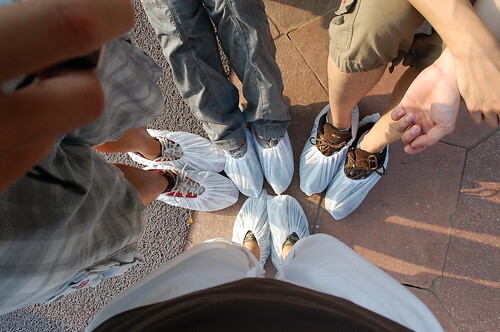 Before you enter, you are required to cover your shoes with shoe cloths. 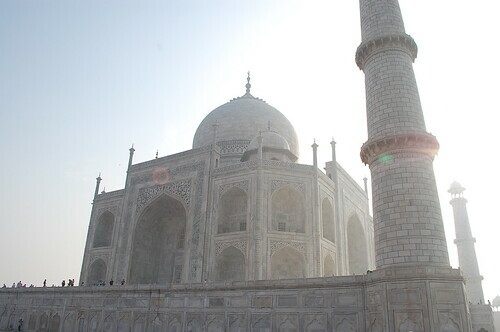 Majestic view of Taj Mahal from the side. 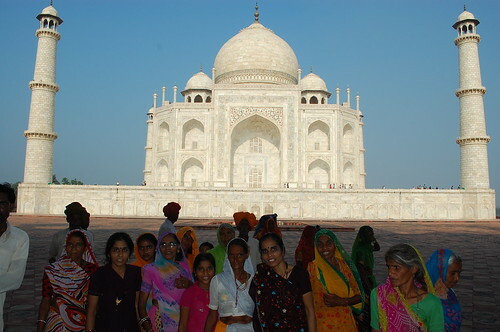 The many thousands of people who travelled from far away lands to come visit the beautiful structure. 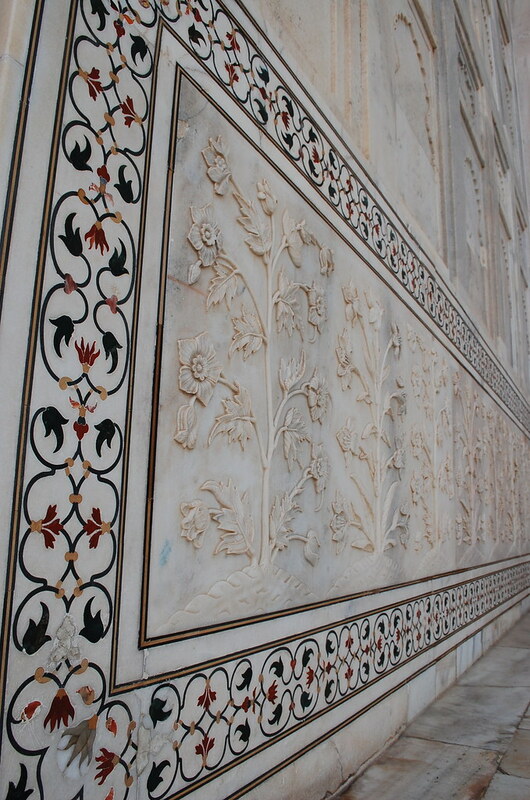 Resting at the sides of the Taj Mahal. It was such a sunny day, you could hardly see our eyes! 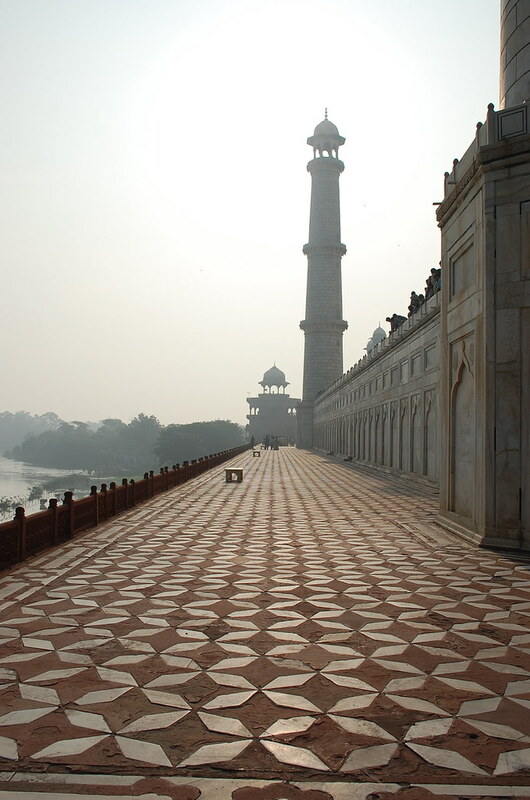 After the Taj, we dropped Nan off at the bus station, and we continued to explore the other parts of Agra. Local boys jumping off the cliff of an old structure in Baby Taj and into the river. 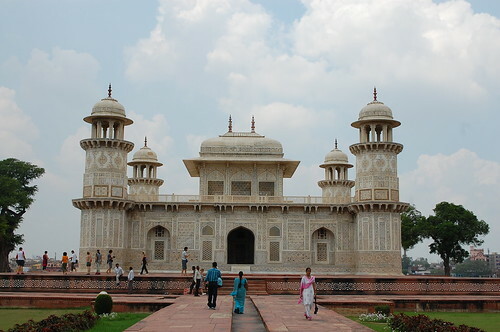 Apart from the Tajs, there isn't much to do in Agra. We decided to go modern and ended up watching a movie in a mall. It was our first Bollywood experience and the movie was called "Singh is King". It didn't have English subtitles so I didn't understand what was going on but nonetheless, it was amusing to watch. It was the 9th and last day of our trip and we were craving for non-Indian foods. Since there were a lack of choices, we treated ourselves at McDonald's for lunch and Pizza Hut for dinner. What a way to end a great trip, huh? :)) Thanks for posting this. Great recap! We watched 2 movies. The other one was an Indian horror flick, and they really crank up the volume in the cinema. We also went to Agra Fort; where the king who commissioned the construction of the Taj Mahal spent his remaining days watching the it built through the window from his dungeon cell.